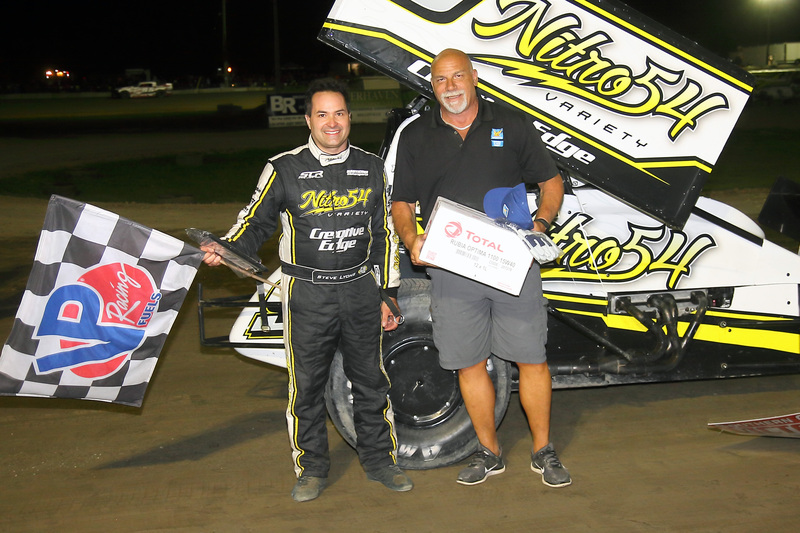 BRIGHTON, Ontario (September 2, 2018) – Ryan Susice and Steve Lyons took Southern Ontario Sprints feature wins during an action-packed 16th Annual Labour Day Classic Weekend at Brighton Speedway, while Cory Turner inched closer to his first SOS championship. Saturday’s feature race saw Tyler Rand take the early lead before Steve Lyons took over and claimed his first ever 360 Sprint Car feature win. Cory Turner moved up to take the runner-up spot, followed by his brother and fellow title contender Ryan Turner in third. Rick Wilson, Chris Jones, Shawn Sliter, Tyler Rand, Jamie Turner, Mike Thorne, and Holly Porter rounded out the top ten. Dylan Westbrook suffered mechanical problems which put his chances for a third consecutive SOS championship in jeopardy. Ryan Turner, Cory Turner, and Dylan Westbrook claimed heat race wins, while Mike Ferrell took the win in the “Dream Come True” Dash for Cash race. Sunday’s feature saw the podium swept by three drivers who weren’t in action at Brighton the night before. Modified standout Ryan Susice took the $2,000 feature win over brothers Mitch and Jake Brown, while Dylan Westbrook charged from the seventh row to finish fourth. Ryan Turner, Cory Turner, Tyler Rand, Kyle Phillips, Chris Jones, and Holly Porter rounded out the top ten. Holly Porter, Jake Brown, and Cory Turner claimed heat race wins, while Steve Lyons won the Dash for Cash, and Holly Porter took the victory in the 12 lap Simon Petit Memorial Wingless Sprint Car Dash. Cory Turner now unofficially leads the SOS standings by 55 points over Ryan Turner heading into the championship finale, with Dylan Westbrook 106 points out of the lead. 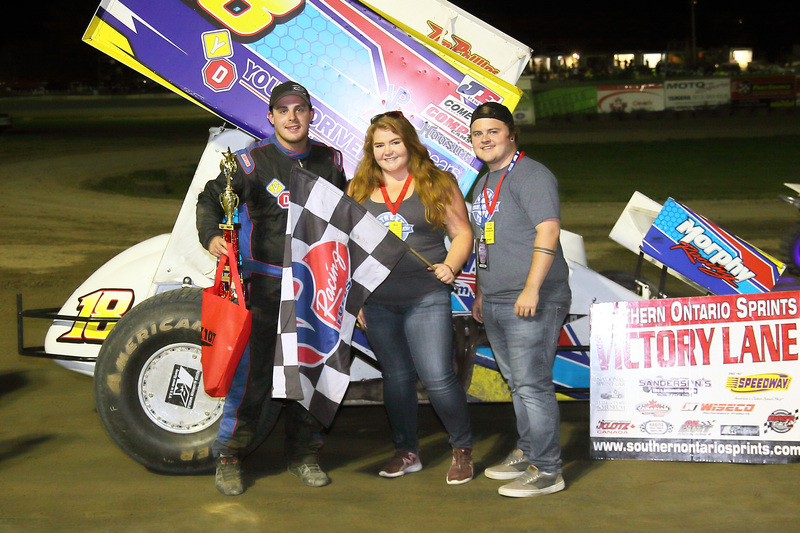 The Southern Ontario Sprints donated the club’s half of their 50/50 draw proceeds on both Saturday and Sunday to injured driver Tyler Hendricks and his family, while Mike Ferrell and April Wilson also donated their Dash for Cash race winnings. Please visit www.gofundme.com/fundraiser-for-tyler-hendricks if you wish to contribute.